Geographically Nigeria is endowed with 852 km of the Atlantic coastline with 10,000 km of inland waterways about 30 per cent of which are seasonally navigable for passenger and freight transportation. Internationally, Nigeria has recognition of the International Maritime Organisation (IMO) as a port state and a flag administration represented by the Nigerian Ports Authority (NPA) and the Nigerian Maritime Administration and Safety Agency (NIMASA) respectively. NIMASA maintains a ship registry which registers and licenses vessels that fly the Nigerian flag. Nigeriaâ€™s maritime assets comprise huge hydrocarbon fossil fuel and gas deposits in her exclusive economic zone which the country has explored and exploited to drive its economy for the past six decades, aside the oil and gas installations and export terminals owned by government, indigenous and international oil companies whose values are worth billions of U.S. dollars. Seaports with its terminal infrastructure and equipment also add a large chunk to Nigeriaâ€™s maritime asset base. These assets, natural and man-made, provide the catalyst for shipping in Nigeria, albeit their direct influence on shipping is rarely noticeable or acknowledged. It is worthy of note, for instance, that oil and gas exports cannot take place without the presence of dedicated export terminals as obtainable in Escravos, Qua Iboe, Brassor Bonny amongst others. It is from these terminals that the very large crude carriers (VLCCs) and the ultra large crude carriers (ULCCs) load our crude oil and gas for delivery to overseas markets. It is given that maintenance dredging has to be constantly carried out on the terminals to keep these mammoth tankers and gas carriers afloat without incident. To ensure continuous maintenance dredging, the NPA, in partnership with the private sector, established the Lagos Channel Management Company (LCM) and the Bonny Channel Company (BCC). The BCC was established to create and maintain a safe navigational passage for all marine users to and in the Eastern Ports of Bonny Island, Onne, Okrika, and Port-Harcourt. The LCM is saddled with the responsibility of dredging and maintenance of Lagos channels for the safe movement of vessels. Drawing from this is the direct relationship which oil and gas demand and supply have on the shipping market. Since the demand for ships is a derived demand, oil or gas boom triggers demand for more ships to transport the products to the international market. The reverse is the case when there is a slump in global oil and gas demand. Nigeria as an oil producing nation has witnessed many cycles of oil boom and bust as well as shipping market highs and lows notably from the 1970s which sent shock waves to her economy. It remains indelible in Nigeriaâ€™s shipping history how foreign shipowners made record profits in demurrage charges from Nigerian government during the 1970sâ€™ port congestion that trailed massive importation of post-civil war reconstruction materials into Nigeria. The inability of the Apapa port alone to handle the chartered ships resulted in many of them being stemmed at the Lagos anchorage for up to six months. Incidentally, the congestion coincided with Nigeriaâ€™s oil boom which made the millions of dollars paid in demurrage relatively easy for the government to offset. It is, however, a sad reflection that the bulk of these monies went to foreigners because Nigeriaâ€™s indigenous shipping tonnage was largely undeveloped, save for the Nigerian National Shipping Line (NNSL) which was the then national carrier employing hundreds of Nigerian seafarers contributing to the countryâ€™s GDP. Analysts, however, believe the good that came out of this congestion experience was the building of the Lagos Tincan Island Port, which was inaugurated on 14th October, 1977.
â€œThe port has ever since maintained a consistent second place next to Apapa Port in the volume of goods and the gross registered tonnage of vessels it handles annually, thus making significant and consistent year-on-year contributions to the economy,â€ said maritime expert Victor Ikheloa. Meanwhile, despite its importance, the record of contribution of shipping to Nigeriaâ€™s GDP has always been a matter of conjecture rather than fact. In the publications of the National Bureau of Statistics (NBS) shipping is categorised under â€œother servicesâ€ and not as a standalone item. Whilst one may be tempted to frown at this practice by the NBS, it is most obvious that the ships that trade the goods into and out of Nigeria, and the freight the ships earn, do not add to the GDP because their revenues all go to the foreigners who own them. Nigerians, at best, earn commissions on shipping support services like marine insurance and law, cargo survey, freight forwarding, transportation and warehousing, some of which have their individual headings in the NBSâ€™ GDP computation. Given the volume of oil and gas cargo that Nigeria exports daily, coupled with the regular importation of refined petroleum products chief of which are premium motor spirit (petrol) and automated gas oil (diesel); add to this the volume of non-oil import and export that pass through our seaports, the loss of capital contribution to the economy from the ships that move these cargoes is better imagined than calculated. With regards to domestic shipping, ownership of tankers and offshore supply vessels (OSVs) is still tilted in favour of foreigners despite implementations of the Coastal and Inland Shipping (Cabotage) Act 2003 and the Local Content Act of 2010 both of which confer on Nigerian citizens the right to building, ownership, management and crewing of vessels that operate within Nigerian territorial waters. It is important to note that shipping remains the largest industry on earth, or rather the industry with the largest multidisciplinary components. Maritime economics, maritime law, maritime geography, marine insurance, fishery and oceanography, naval architecture, boat and ship building, cargo and marine survey, marine meteorology, maritime logistics and supply chain management, shipbroking and ship/port agency, transportation and warehousing, marine engineering, marine electronics, metallurgical engineering, shipping accounting and finance, maritime ICT/software development, purchasing and supply, health safety and environment (HSE), and maritime training and education are some out of the numerous fields that combine to give the industry its robustness and depth. 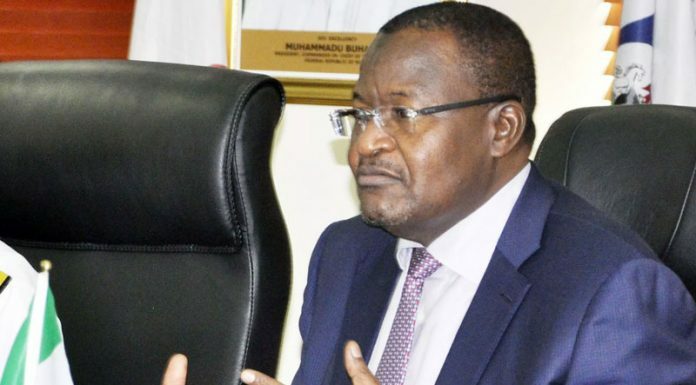 To harness the latent opportunities that shipping presents therefore, Ikheloa said decisive steps towards the development of human resources in the various fields as well as investment in same by Nigerians are long overdue. â€œAt a time like this that Nigeria is battling with high level of youth unemployment, professional training and practice in any of the fields in the maritime sector can help alleviate the scourge. Since virtually all these fields are untapped, they provide golden opportunities for Nigerians to earn decent living and contribute to developing the economy. What is unique about professional training and development in the shipping industry is that many of the fields of study do not place emphasis on particular academic qualifications, particularly those fields that are not science or engineering-based. â€œFor instance one could become a marine insurer without having academic background or qualification(s) in insurance study. Likewise people have reached the peak of their career in seafaring as Chief Engineers or Masters of Vessels without as much as any formal schooling beyond secondary school. Guided professional education and training takes care of the knowledge gap. Professional courses abound in transport logistics and supply chain management that can launch people into the world of shipping irrespective of their academic background,â€ he said. He added: â€œBeyond professional training and education, Nigeria needs shipping investors (foreign and local) to increase her maritime asset base. This is a rather touchy issue as most Nigerians believe that investing in shipping requires breaking a bank vault. But this assumption is often taken too far. Mature maritime nations in Europe, North America, Far East and Middle-East Asia have made investments in shipping so fluid, flexible and all-encompassing so much that virtually any one or group of persons can invest in ships and allied assets while communal savings and funds that do not have immediate use find good haven of investment in ships. â€œA good case is the National Iranian Tanker Company (NITC) which is among the three biggest tanker companies in the world, funded with pension funds of five million Iranian pensioners. As of 2015, NITC had 42 very large crude carriers (VLCCs), each capable of transporting 2 million barrels of oil per voyage. The company transports Iranian crude to export markets and also engages in cross-trading of crude oil cargoes for some 150 oil majors worldwide, including Royal Dutch Shell, Total SA, Saudi Aramco and state-run producers in Kuwait and Abu Dhabi. With capacity for 11 million tons per year average, the NITC generates some $1.5 billion dollars revenue per annum in voyage charter freight and time charter hires for its owners. â€œIn this era of mega mergers and acquisitions of ship-owning companies globally, having the private sector (groups of shipowners, industrialists and private equity investors) pool their resources with transparent monitoring by government can help to refloat a national carrier to lift Nigeriaâ€™s crude and checkmate the enormous capital flight that attends the sale of the crude on free on board(FOB) sales term, instead of on cost insurance and freight (CIF) which other oil producing nations with own tankers use for selling their crude. On the domestic scene, operators should come together to access the savings of the N51 billion cabotage vessel financing fund (CVFF) under custody of NIMASA to procure vessels to run coastal and inland waterways shuttles including the West and Central Africa coasts and the Gulf of Guinea over which Nigeria has territorial influence and authority,â€ said maritime expert, Lucky Amiwero. To fully harness these shipping potential, some analysts said it is important to strengthen the portfolio of the channel management companies â€“LCM and the BCCâ€“because of their strategic importance as backbones of Nigeriaâ€™s maritime assets. â€œEven though it is agreed by industry watchers that the channel companies have performed quite well, with green deep seaports coming on stream in Lekki, Badagry, Bonny and Ibom, among other areas, capacity building of the channel management companies will help expand their scope of operation to make room for ever larger and more vessels to ply Nigeriaâ€™s seaports and waterways, from which economic activities will be accelerated, said a major player in the sector,â€ he said.